If you are tired of Twitter, Facebook, Instagram or Snapchat, Tumblr or they simply do not fill your social networks needs here are some alternatives that maybe a better fit for you. PumpUp (download) - PumpUp is a Social Network for people looking for a fitness lifestyle. Beside the social network aspects it has hundreds of exercise routines to help you get in shape and stay motivated. This is an app with a social network that actually has a purpose. Peach (download) - Peach is a new app to form a social network of know acquaintances and family similar to Path. The app is generating some buzz. 500PX (download) - 500px is the premier online social network for photographers. 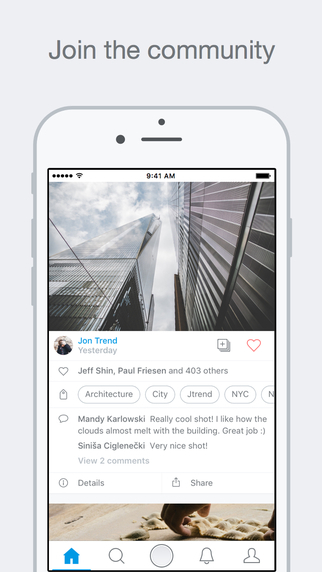 Discover, share, rate and even sell photos. Get to know other photographers and find inspiration. LinkedIn (download) - LinkedIn is the social network for professionals and we know how important it is to have that connections. So if you are a professional make sure to sing up for LinkedIn. This niche apps provide a more focused and personal experience than the big general social networks.